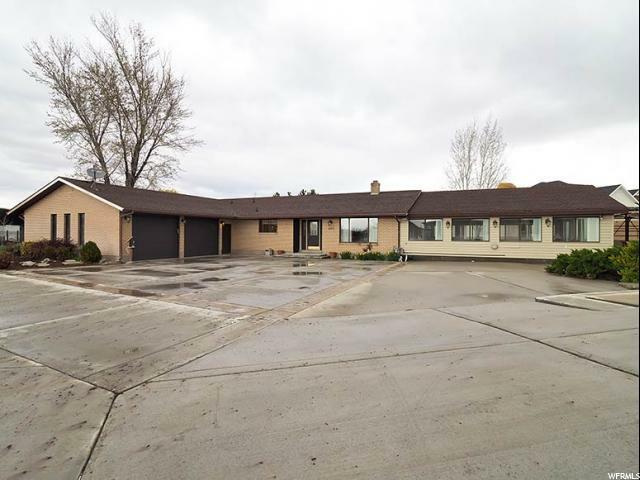 All ARNOLD ESTATES homes currently listed for sale in Lehi as of 04/18/2019 are shown below. You can change the search criteria at any time by pressing the 'Change Search' button below. "One of a kind! Over an acre of flat land, fully fenced, including a security fence around a driveway for 19 cars! Enjoy the large pond and relax under the gazebo. Pleanty of room for a huge garden. Awesome man cave in the 4 car detached garage with door opening of 20 feet by 16 ft high. Includes loft storage with stair access, 220 power and workbench. Perfect for an RV or work space. Home has 2 bathrooms adjoining the master and jack and jill bath between secondary bedroom. Massive family room includes indoor hot tub! Come and see all the fun you can have in this amazing home!"